The Dinner List: Make Meal Planning Fun! Ok, please tell me if any of this sounds familiar: You come across a new recipe that you are all excited to try. It’s seems easy, nutritious…you’re thinking you’re going to rock your family’s world at dinnertime! Then 5:30 rolls around and the kids start pestering: “What are you making?,” “When’s dinner ready?,” and my personal favorite “Uh, what’s that smell?” Nothing like that one to knock you down a few pegs when you start to feel cocky about the meal you’re about to serve. So now the kids are circling, already deciding that they aren’t going to like this new meal and start asking for safe alternatives. (My kids would eat plain noodles and green beans from a can every night if I let them.) You start pleading… “Just give it a try, I chose this because I know you’ll like it and it’s going to be SO good!” And of course your song and dance is met with crossed arms, eye rolls, and if you’re really lucky, comments such as “That looks disgusting.” Well, thank you very much, tiny critics. This a fairly common occurrence in our house when debuting new meals. 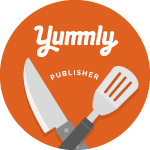 I love cooking and have millions of recipes pinned, ready to try out on my family. I really do go out of my way to choose things I think they will like, yet they are so quick to judge based on what it’s called or what they think they’re not going to like about it (crazy things like “Cheese is only good when it’s not melted.” Oh really, well then what about pizza?) And it’s so frustrating for someone like me who loves to cook and try new recipes. So, to combat this vicious cycle, we have instituted—the Dinner List! Every once in a while I’ll pull out some of my cookbooks, have the big kids sit down and flip through them and pick out some things they think sound good. Then when I plan the week’s meals, I incorporate some of their choices. The deal is, the kids have to give the new meals a fair chance (like more than one bite fair chance.) Then we vote…if it’s a hit, it gets added to the Dinner List. If they don’t love it, then we talk about what tweaks could be made to the dish to make it Dinner List worthy. We all love the Cheeseburger Casserole from Gina at Skinnytaste.com. This Slowcooker Shredded Chicken from Ali at GimmeSomeOven is great for making quesadillas. And a super easy, delicious dinner is this Balsamic Pork Tenderloin from Robyn at AddaPinch. What are some of your family’s go to recipes? Sign up below to access your FREE “the Dinner List” PRINTABLE download, and to receive the Preserves Project newsletter with the latest posts & freebies! Stacy I do the very same thing!!! I call it our “Recipe Roladex” haha. It’s SUCH a helpful tool. Thanks Kelsey! That’s a cute name too! Thanks Leila! My husband and I actually used to do this before we even had kids sometimes…at my bridal shower, I was given a recipe box full all my guests favorite recipes. My hubby and I’d go through it and each pick the ones we wanted to try! What a great idea to get my son more involved! He can’t read yet but he can certainly pick out pictures of what he likes. I think I’ll give this a go! Thanks Vivianna! Enjoy picking out some yummy new recipes and building your family’s Dinner List! This is a great idea. I will be starting this at my home ASAP!!! Yay Cathy! Hope you guys have fun with it! That’s a good idea! My kids aren’t old enough to help choose yet but my oldest is quite picky so I can see this being helpful! Yes…this all started because my oldest was so very picky. Luckily he’s gotten a wee bit better and is more open to trying new things these days. Good luck! What a great idea! I sometimes let me kids pick a few recipes from Pinterest but I like the idea of gathering around the table with real live cookbooks! Thanks Kristen! I have such a problem with collecting cookbooks…I can’t help but bring home more and more; my mom has twice the collection I have! And with pinterest now, I do a lot of cooking from ipad, so it’s really nice to break the books out! Such a great idea to involve them! Mine is only three but I don’t think I would of thought of that! Thanks! I love this idea to get the kids involved in choosing new recipes for dinner. What a great idea! We also have a sort of “dinner list” but right now my husband is the only critic since my daughter is 2 months old. Thanks Samantha! Just two months…congrats, nothing better than the teeny brand new ones!!! I will be checking these out pronto. I love a good slowcooker meal and since I’ve been home with the girls, I thought I would use my crockpot less, but it has saved the day for me a lot!! Plus, you are STUNNING, girl! Mom crush alert! Abbie…you’re making me blush, lol! Thank you! Yeah so I thought the same thing about my crockpot, but there is nothing better than taking a few minutes in the morning to throw something in there and knowing dinner is DONE! Such a great idea, Stacy. Need to try this out with my three picky boys! Thanks Stacy! I hope you and your boys enjoy flipping through some books! Needed this today…menu planning has not been on my fun list but gonna start looking more forward to it!!! Thanks!!! Thanks Gretchen! The best part about builiding a dinner list, is once you have a decent collection of go-to recipes then you can just shop from that on weeks you don’t feel like re-inventing the wheel! I love this idea so much! Getting the kids involved with the planning and cooking is a great way to let them know their opinion is valued while teaching them an important skill. And I can’t wait to try that Cheeseburger Casserole!!! The cheeseburger casserole is so, so good! I hope you guys love it too, and have fun planning!